It’s a sad day in the famous animal kingdom. Koko the gorilla has died. Koko became famous as a linguistic marvel. She was said to have mastered more than 1,000 hand signs to communicate with her human handlers. 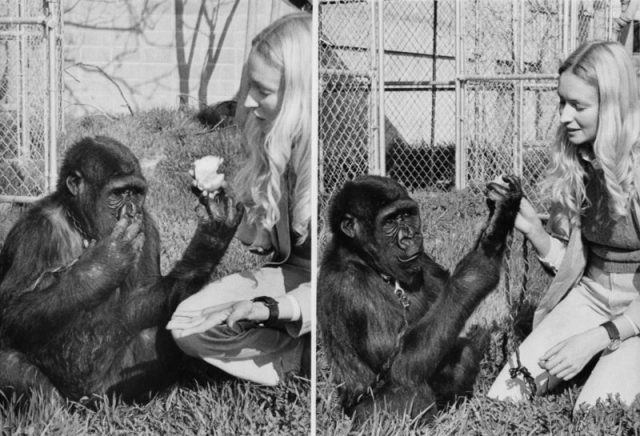 Animal psychologist Francine Patterson taught Koko a modified version of American Sign Language and said she used her words to convey not only tangible items but also thoughts and feelings. Koko was said to have an IQ between 75 and 95 and could understand 2,000 words of spoken English. Koko died in her sleep at age 46, which is considered “old” for a gorilla. 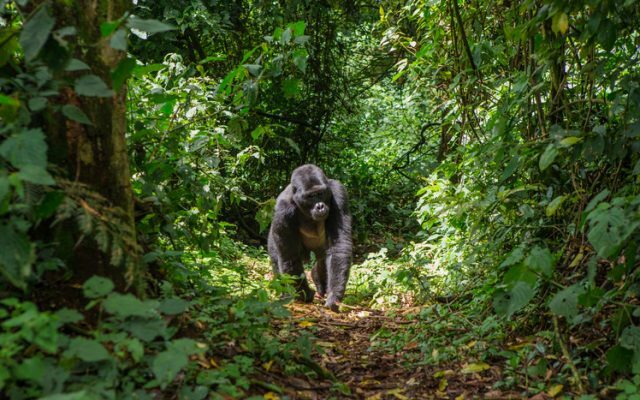 Gorillas typically live to between 30 and 40 in the wild. 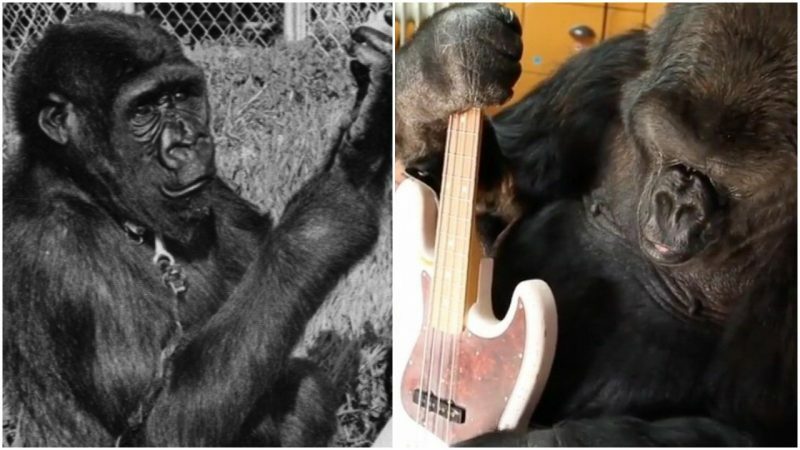 “Her impact has been profound and what she has taught us about the emotional capacity of gorillas and their cognitive abilities will continue to shape the world,” said the Gorilla Foundation, a non-profit organization that works to study and preserve great apes, which oversaw Koko’s life and announced her death. Koko captured the world’s heart when she gently held a kitten, which she called All Ball. The story of the gorilla and her pet was told in National Geographic and later in a children’s book, Koko’s Kitten. Sadly, All Ball was hit by a car and killed. In heart-breaking video footage, Dr. Patterson asks Koko what happened to All Ball, according to NPR, and Koko signs: cat, cry, have-sorry, Koko-love. And then: unattention, visit me. Koko was born on July 4, 1971, at the San Francisco Zoo and lived most of her life at the Gorilla Foundation’s preserve in the Santa Cruz Mountains of California. 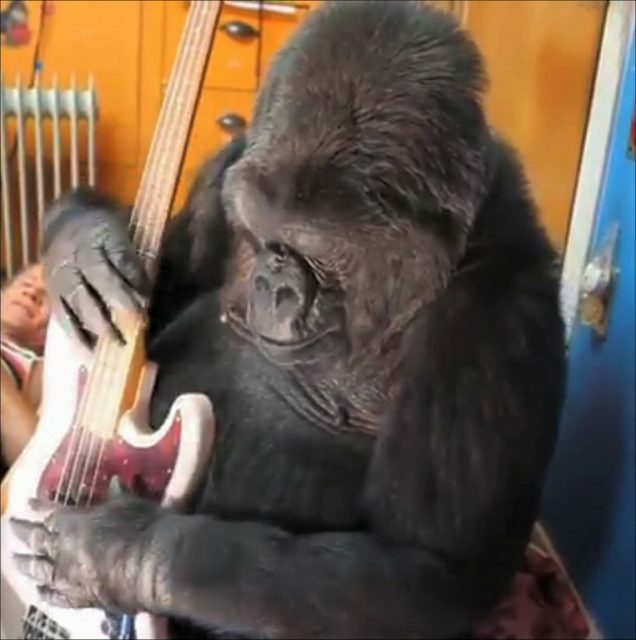 A western lowland gorilla, she was named Hanabi-ko, Japanese for “fireworks child” to commemorate her birth date, which readily turned into the nickname Koko. She was chosen as an infant to work on a language research project Dr. Patterson was conducting. Dr. Patterson developed a decades-long relationship with her subject. Koko appeared in two documentaries and on the cover of National Geographic magazine in 1978, in a kind of proto-selfie: a photograph she took of herself in a mirror. In 2001, the comedian Robin Williams visited Koko. In a hilarious and delightfully sweet video, she can be seen showing Williams around her environs, sniffing and trying on his glasses, and mimicking his silly faces. She invited him to tickle her, and gently tried to tickle him too. Williams seemed genuinely delighted as she goes through his pockets, pulls out his wallet, and tries to eat his money. When she saw his image later in movies, she seemed to recall him and also seemed to mourn his death. Koko also met other kind-hearted celebrities like Mr. Rogers, Betty White, Sting, and William Shatner, who after learning of her death, posted a remembrance to Twitter, including a photo of their meeting. Beyond her capacity to communicate, she also impressed scientists with her ability to play a recorder, which requires simultaneous breath and finger control. In time, however, some scientists questioned Dr. Patterson’s methods and interpretations, suggesting that the gorilla merely kept signing until she received whatever “reward” she desired from Dr. Patterson. Some skeptics posited that people were projecting their own emotions onto Koko when they suggested that the gorilla was sad about the death of Robin Williams; the gorilla may have been simply mirroring the sadness in her human handlers. Of course, it’s impossible to measure the depth of a gorilla’s understanding and emotions. And it is undeniable that she had an impact. 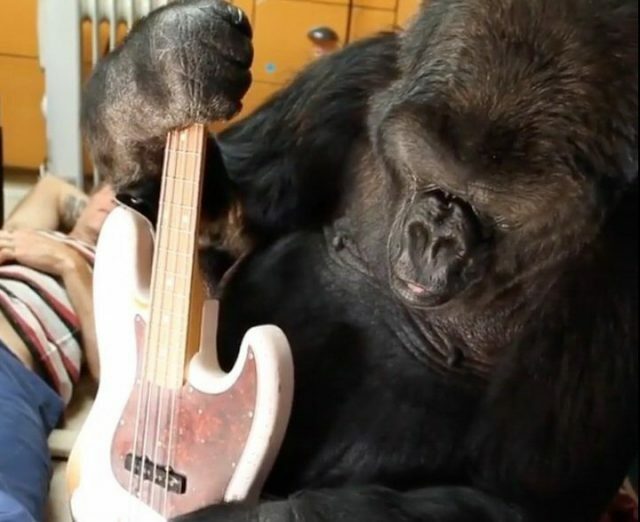 “Koko’s capacity for language and empathy has opened the minds and hearts of millions,” the Gorilla Foundation said in the statement announcing her passing. This entry was posted in Africa, Animals/Insects, ART, History, Travel, World and tagged Animal psychologist Francine Patterson, Gorilla, Sign Language, Uganda by rolyred. Bookmark the permalink.